Manufacturer & Exporter of Machine Spare Parts. Our product range also comprises of Steam Turbines, Gear Boxes and Gear Wheel. 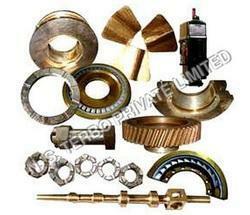 We are a team of skilled professionals, engaged in offering a complete choice ofTurbine Spare Parts. Offered spare parts are available from us on numerous specifications to choose from. These spare parts are precisely developed from the top-grade material keeping in mind the set standard of industry. Our offered spare parts are tested thoroughly by our adept quality experts for ensuring its best usage. We are a team of skilled professionals, engaged in offering a complete choice of Turbine Spare Parts. Offered spare parts are available from us on numerous specifications to choose from. 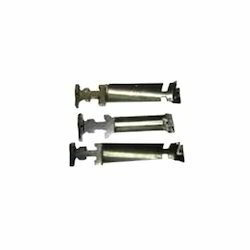 These spare parts are precisely developed from the top-grade material keeping in mind the set standard of industry. Our offered spare parts are tested thoroughly by our adept quality experts for ensuring its best usage. We have marked a remarkable position in the industry by manufacturing and supplying a broad array of Turbine Blades. Offered blades are used for extracting energy from the high pressure and high temperature gas produced by the combustor. Provided blades are efficiently manufactured by utilizing the best quality metal alloy with the help of modern technology under our experts' supervision. In addition, these Turbine Blades are available in various specifications to meed the exact needs of our clients. Our organisation has an excellent track record in providing top class Turbine Rotor to our clients which is our well-known product. Turbine Rotor is an important component of wind turbine and for this reason it is also known as heart of a wind turbine. 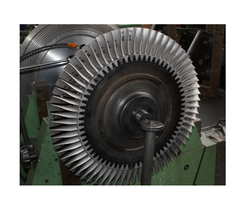 This product consists of various types of multiple blades which are connected to a hub. Rotor plays an important role in conversion of wind energy into rotation. It is durable and is provided in latest technical specifications to our customers. This product is provided at suitable rates to our customers. Looking for Turbine Spare Parts ?